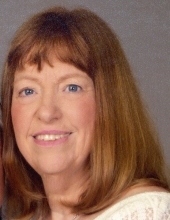 Kathy Utech, 66, of Grinnell died on February 7, 2019, at Iowa Methodist Medical Center in Des Moines. A funeral mass is scheduled for 10:30 a.m. Monday, February 11th, at St. Mary’s Catholic Church in Grinnell with Rev. Ross Epping of Grinnell, Rev. Nick Adam of Fairfield and Rev. Steve Witt of Iowa City, presiding. Organist will be Marilyn Kriegel accompanied by the St. Mary’s Choir. Gift bearers will be Terry and Sue Utech and Jessica Schneider. Pallbearers will be Patrick Elliott, Andrew Henderson, Matthew and Ryan Henderson, John Little, Mark McLaughlin and Stephanie Wiksen. Burial will be in Hazelwood Cemetery in Grinnell. Visitation with the Utech family present will be held from 2:00 to 5:00 Sunday afternoon at St. Mary’s. Memorial contributions may be designated to the Kathy Utech Memorial Fund. Kathy was born on September 4, 1952, in Kansas City, Missouri, the daughter of Harold Leo and Mary Margaret Donovan Brucks. She was raised in Kansas City and was a 1970 graduate of Ruskin High School. She later received her AA degree at Longview Community College in Kansas City. On October 2, 1971, she was united in marriage with Wendell L. Utech, at St. Catherine Catholic Church in Kansas City, a union of 47 years! The couple raised two sons together. After their marriage, they moved to Davenport where Wendell attended Palmer College of Chiropractic. In 1974, the couple moved to Grinnell and they opened the Utech Chiropractic Clinic. They were long-time business people in Grinnell and they retired on October 31, 2018. Kathy was an active member of St. Mary’s Catholic Church where she volunteered for many roles of the church including trustee and Eucharistic Minister. She enjoyed four-wheeling in Utah and traveling with friends throughout Iowa. She was an avid reader, enjoyed games of all kinds, including puzzles and word games, and was a fan of both the Kansas City Chiefs and Kansas City Royals. She especially enjoyed socializing with family and friends and meeting new people. Kathy is survived by her husband, Wendell of Grinnell; a son, Dan Utech of West Des Moines; two siblings, Diane (David) Henderson of Springfield, Missouri and Mark (Susan Monahan) Brucks of Walla Walla, Washington; and two grandchildren, Davis and Brooks Utech of Grinnell. She was preceded in death by her parents and one sister, Peggy Brucks. To send flowers or a remembrance gift to the family of Kathleen Louise Utech, please visit our Tribute Store. "Email Address" would like to share the life celebration of Kathleen Louise Utech. Click on the "link" to go to share a favorite memory or leave a condolence message for the family.